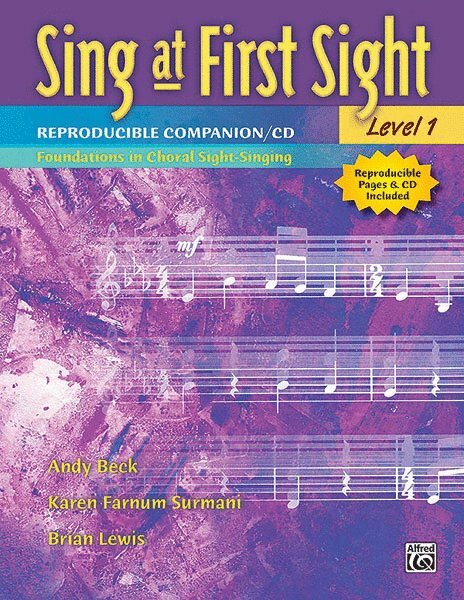 Augment your sight-singing curriculum with this well-written supplemental textbook which directly correlates to the lessons taught in Alfred's popular Sing at First Sight method. 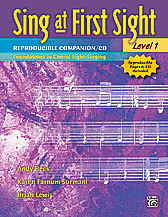 Includes over 80 reproducible pages of additional exercises, activities, and assessments designed to strengthen the music reading skills of developing musicians. A listening CD provides ear training activities and recorded accompaniments for the six end-of-unit songs. Plus, a handy appendix with easy-to-follow charts and diagrams of music fundamentals. 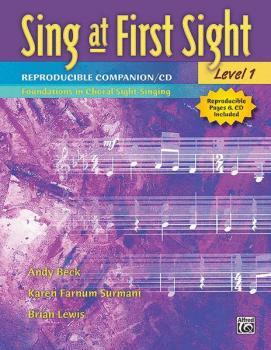 The Reproducible Companion is highly effective when used with Sing at First Sight; on a routine basis after each of the 24 sequential lessons; as needed to master challenging musical concepts; or as a general review following the completion of the original textbook. Logically laid out in a 96-page spiral-bound book, ready for the photocopier! This title is available in SmartMusic.